When you have a toothache, all you can think about is relief from the pain. We think about that too, of course, but in addition we also need to determine the cause of your toothache in order provide you with the treatment you need. A toothache can have several different causes. At Complete Dental Care, your dentist in Burlington will find the reason for your toothache and then treat accordingly. Let’s look at some of the more common causes of a toothache. A cavity is often the reason for a toothache. If you feel pain when you eat something sweet, very cold or very hot, then this may be a sign that you have a cavity. Alternatively, these same painful sensations may also point to tooth sensitivity, which can happen as a result of receding gums or erosion of tooth enamel. You should schedule an appointment with either Dr. Kostas or , but in the meantime using toothpaste for sensitive teeth and a soft bristle toothbrush may reduce some of your tooth sensitivity. Other toothaches are the result of an injury to a tooth. If you bite down and feel a sharp pain, then your tooth may be cracked. In this case, we may recommend a dental crown to protect the tooth and restore its strength and functionality. Another cause of toothaches is infection. Normally, the nerve tissue that is housed inside your tooth is well protected by the outer enamel and dentin layers. However, when there is severe decay or a deep crack, bacteria can reach the nerve. Once infection sets in, the nerve begins to die and the resulting pain can be excruciating. Then, scheduling an appointment with one of our dentists is critical. You may need a root canal to remove the infection and preserve the tooth. Sometimes what you think is a toothache might not be one at all. A sinus infection can make your upper teeth feel sore. If this tooth pain happens along with nasal congestion, then you may want to see your physician about a possible sinus infection. The pain of temporomandibular joint dysfunction can masquerade as a toothache, as well. Other reasons for a toothache include arthritis or cancer in the jaw and either impacted wisdom teeth or molars. 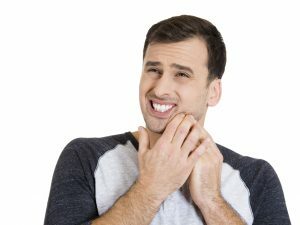 If you are experiencing the pain of a toothache, call Complete Dental Care in Burlington, MA, and schedule an appointment to receive the correct diagnosis.